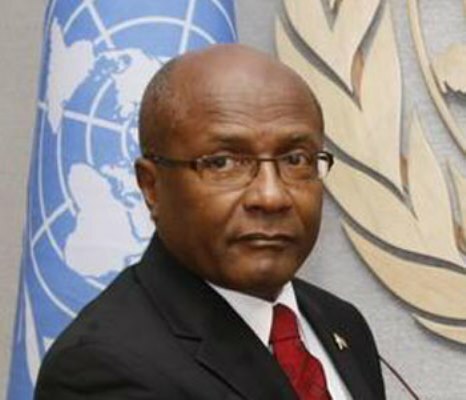 United National Congress » Charles: Where is our Brexit strategy Dr Rowley? This week four fellow CARICOM countries signed a trade agreement with the UK to maintain relations post Brexit, Trinidad and Tobago was notably absent. This means that, unlike these countries, we do not have a post Brexit strategy to ensure that our preferential trade arrangements are maintained, if and when Britain leaves the EU. Once again, under this PNM Government, T&T was not at the table when important arrangements were being made that will affect our very future. The purpose of the agreement is to safeguard the continuation of trade between the Caribbean region and the UK. This is all part of the path to continue growing the economies, creating jobs and increasing incomes. T&T’s absence was yet another example of a complete lack of preparedness by this Government. “On July 1st 2016 I asked Dr Rowley in Parliament about our position on Britain’s departure from the EU and also, whether the Government had examined possible scenarios so that we would not be caught flat-footed. His response was “There is nothing to be caught flat footed about”. So we have no strategy to deal with the EU, our trade agreements with the OECD are languishing in JSC and the future of our trade agreements with Britain are uncertain,” says MP Rodney Charles. The characteristic sloth and incompetence of this PNM administration when it comes to seeking the interests of our country is unacceptable. This Government is running the country by trial and error. Does this PNM regime not realise the importance of finalising a post Brexit plan ahead of time? It is clear that PM Rowley and his Ministers are all clueless and cannot comprehend the consequences of not having an effective system in place for post Brexit aftermaths. We are no stranger to this PM and his consistent lack of planning to take us forward. Whilst our fellow CARICOM countries have taken a proactive approach, it seems as though it was not even on this Government’s radar. Will they scamper to secure our trade agreements post Brexit? It is becoming the norm that when PNM Ministers state that they are “deliberating” or “in talks” it really means that they were unaware of the matter and will now hurry to develop a plan that is incomplete, lacking consultations and rushed. The fact remains that no one in this PNM administration has a plan to deal with any of the many issues in this country. Rowley and his Government need to focus their attentions away from blaming the Opposition and towards acting in the best interest of T&T and ensuring that our trade agreements with Britain will survive Brexit.